PRESIDENT MESSAGE｜OUR STORY｜The official website of Oisix ra daichi Inc.
We want to eat delicious and healthy food without hassles. Oisix ra daichi Inc. was established to meet customers' demands for easy access to delicious and healthy food. Since then, we have been delivering food products that are carefully selected in terms of safety, nutritional value, price, and taste to support our customers' daily diets. Food safety concerns have been affecting our diet for a long time. Food is often sold, even though the people producing and handling this food would be reluctant to eat it themselves. At Oisix ra daichi, we make careful and "responsible" choices of food products for our customers. We select food that the producers would be happy to eat themselves or to give their children. At the same time, since we focus on the taste of our products when they are eaten, not just when they are harvested or produced, we conduct thorough research on temperature management and packing conditions. The growth of our business is closely related to customer satisfaction. We are committed to constantly improving our services based on the opinions of our customers, rather than on the views of our producers and distributors. If you have any comments about our services, no matter how small, please do not hesitate to contact us. We are committed to the continual improvement of the quality of our services. Born in Kanagawa Prefecture in 1973, after completing his studies at the Department of Information and Communication Engineering at the Graduate School of Engineering, University of Tokyo, he worked at Mckinsey Japan. 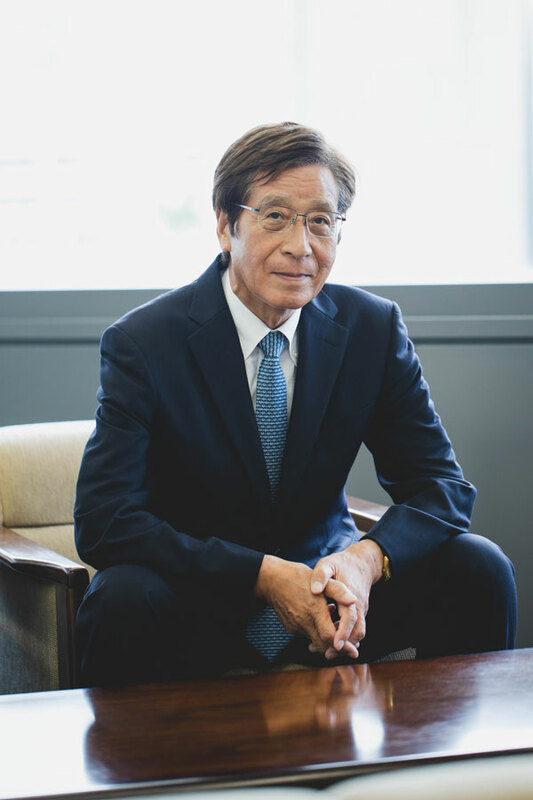 In June 2000, he founded Oisix Inc., with a corporate philosophy of “providing a rich and varied diet to ordinary households.” He assumed office as President and Representative Director of the company. In March 2013, the company was listed with Market of the high-growth and emerging stocks of the Tokyo stock exchange. In May 2016, the company acquired a wagon retailer company called “tokushimaru” that specializes in providing services for people with limited access to shopping facilities. In October 2017, the company plans to merge with “Daichi wo Mamoru Kai Co., Ltd.”, a pioneer in the sales of organic vegetables and he will be the president of the company. This merge will deliver great synergy in terms of producer networks and distribution to further expand the market. In 2007, he also became a member of the board of directors of the non-profit organization, "TABLE FOR TWO International," and has been increasingly involved in activities to address world food problems and issues. After the Tohoku earthquake and tsunami on March 11, 2011, he became a promoter and representative director of the "Eastern Japan Food Association," which is actively involved in reconstruction and support activities. In 2016, he was inaugurated as the vice president of the Echigo-Tsumari Satoyama Cooperation which is dedicated in promoting the area of Echigo-Tsumari. To provide a better dietary life for more people. The food self sufficiency ratio of Japan is about 40%, which means 60% of the food we consume is imported from overseas. In the future, if there comes an era which there is shortage in food globally, we have to be ready to overcome the circumstances and prevail. That is why local agriculture is incredibly important in modern society. Oisix ra daichi is constantly trying to find a solution to such problems by making the correction business decisions. It is crucial for us to understand where the products we consume come from and in what conditions were they produced because eating is a essential part of our mental and physical wellbeing. Oisix ra daichi. aims to provide food products that are safe and healthy. We believe eating is an experience shared by farmers and consumers. Our goal is to provide a better dietary life for more people. Please look forward to the future of Oisix ra daichi. Born in 1947, after working at a publishing company in his early days, Mr. Fujita became one of the core members for setting up Daichi wo mamorukai. In 1977, He worked in the distribution department and was involved in setting up Dachi Ltd.. Alongside with promoting organic agriculture, he has also been participating in events that relates to environment, energy and education. Focusing in Asia, he works closely with farmers in Korea, Thailand, Indonesia, China, Mongolia, Palestine, Germany and Spain to create a global network for farmers. In 1980, he was involved in the establishment of “Zenko-kukyushoku-wo-kangaerukai(School lunch convention)”, and was selected as secretary general. During the autumn of 1994, he started two promotion campaign called “Kokusan-no-mono-wo-tabeyo’(Let’s eat local food)” and “Shiminnotede-kome-mugi-daizuno-jikyu-wo-susumeyo(Let’s grow sufficient rice, wheat and beans)”. Both promotion were apart of the “THAT’S KOKUSAN(That’s local product)” movement that he established. Since 2003, every winter and summer, he would organize an event called “hyakumannin-no-kyandoru-naito(Candle night of one million people)”. In 2013, in order to help people in poverty in the rural areas of China, he started a company that is based in Beijing called “Fupingchuangyuan(Yogeev)”. The goal of the company is to organize a reliable route for safe food delivery service in Beijing. 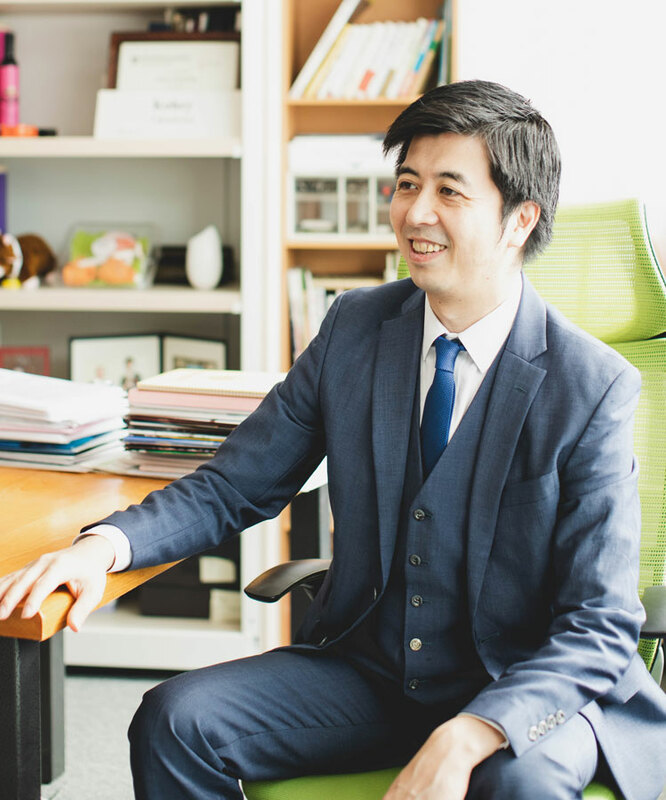 Lately, he has also been working as a lecturer in Sophia University, the representative director of Social Business Network and the chairman of A.P.F. In October 2017, he was promoted as the chairman of Oisix.dachi Inc.